An original, circa 1940, oil on canvas by Alice Mary Burton. 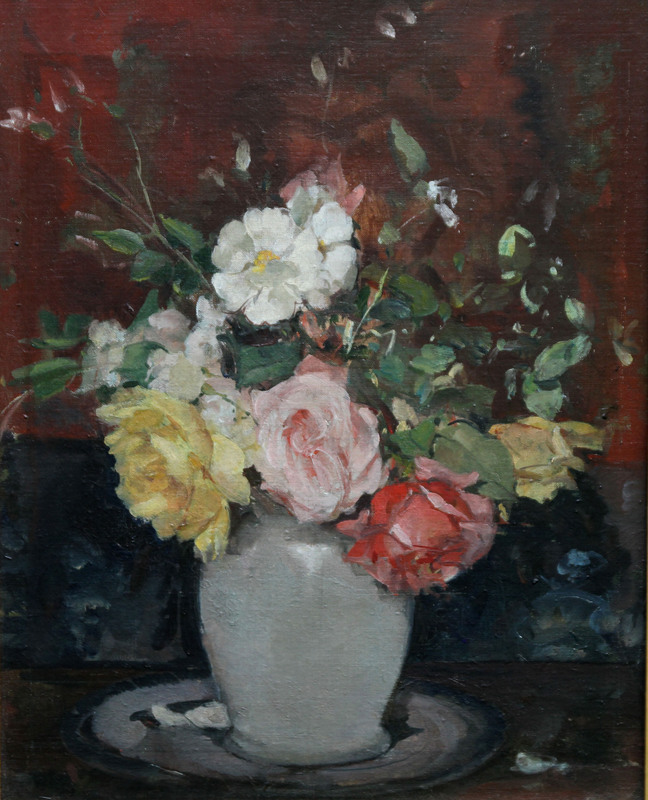 It depicts a still life floral arrangement in a jug. 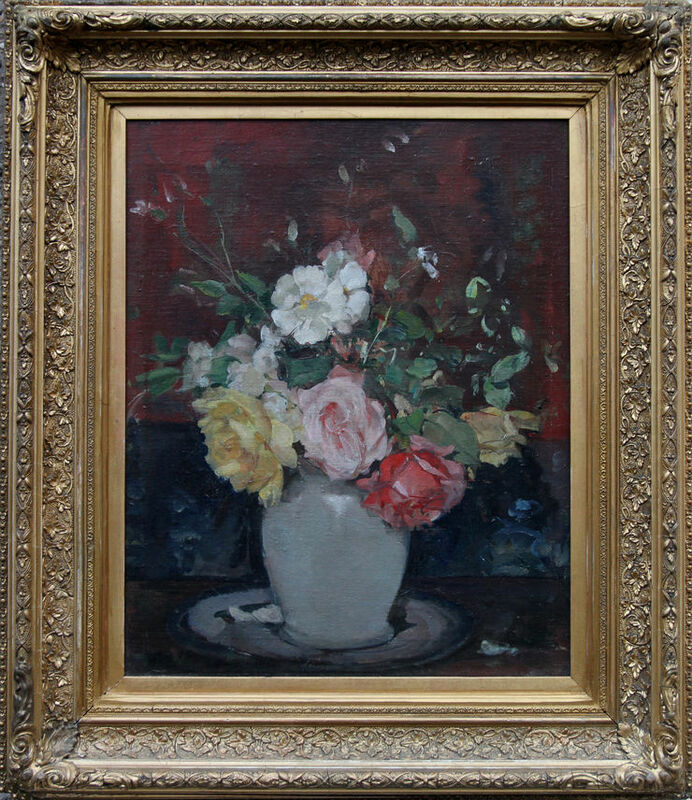 A beautiful interwar floral still life. In excellent condition and framed in a gallery frame. This is a fine painting by a British listed artist whose works have recently sold to the House of Lords. Original gallery frame 25 inches by 21 inches. Excellent condition.